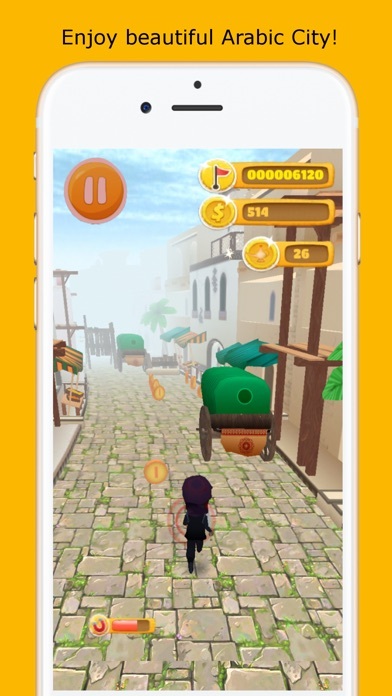 Arabic Prince Runner is an amazing endless running game for iOS! Run along the craziest scenarios in the East City. Drag to jump or slide and to move left or right. 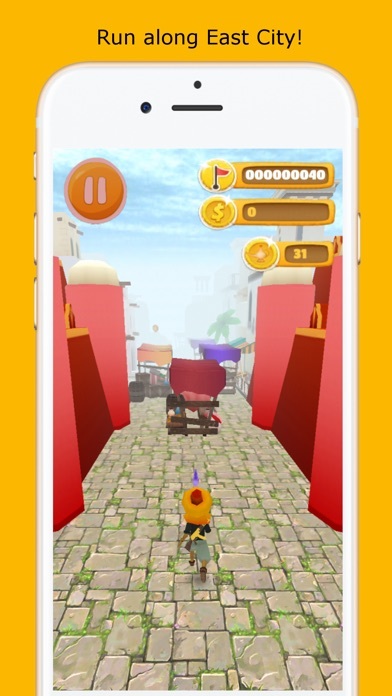 Avoid hitting obstacles. 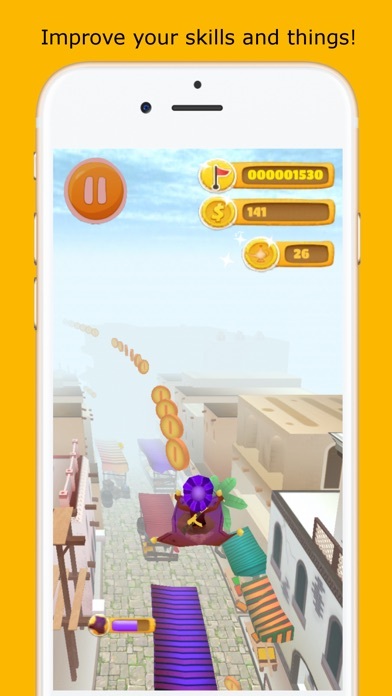 Run around the East City, subway and gather all the coins you can. 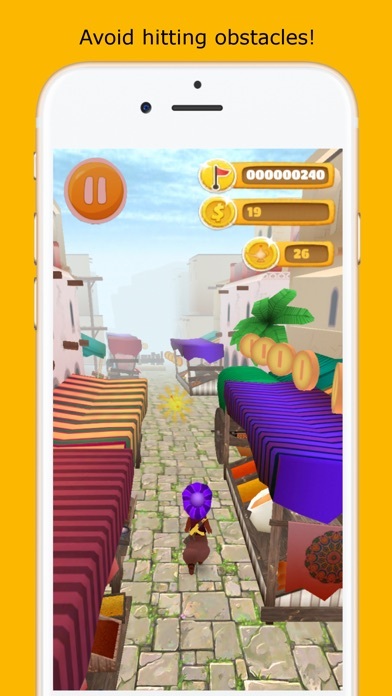 In Arabic Prince Runner, you can choose among 4 different characters to play with. Also, you can customize your virtual surfer of choice by purchasing thematic skins! 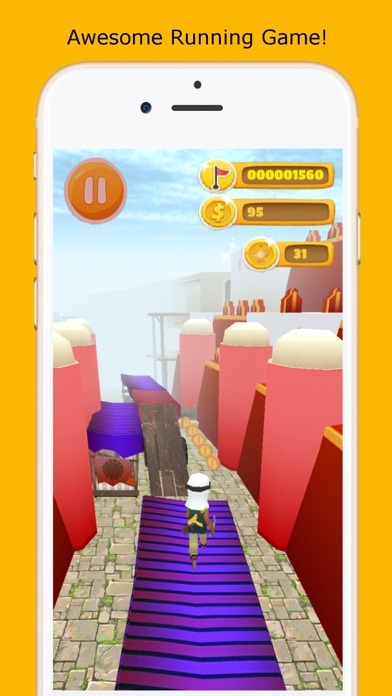 The Arabic Prince Runner Store has lots of items to improve your performance. Get upgrades to improve your power ups such as the magnet or the boots. Upgrade the carpet plane too, and get lots of coins. 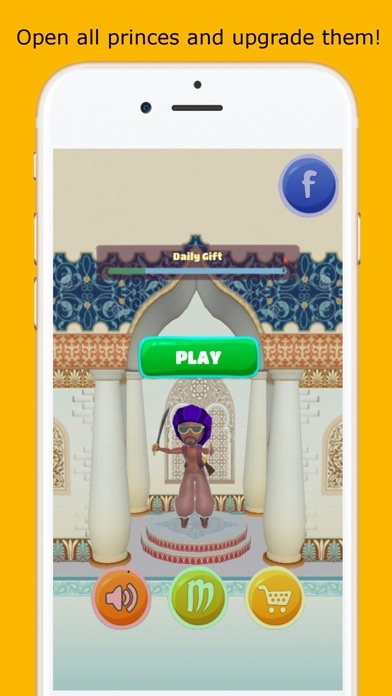 All your friends are playing it - can you beat their high scores? !